The Brooklyn Natural Oak modular furniture range combines up to date looks with practical storage. 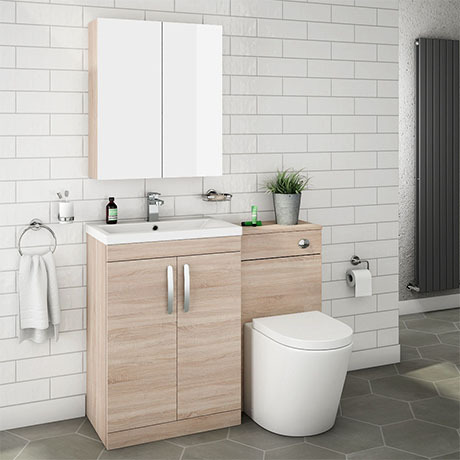 Features a textured wood effect sink vanity and WC unit with a dual flush concealed WC cistern and D-shape soft close toilet seat. This high quality Natural Oak textured wood effect vanity unit is supplied with a smooth white gloss vitreous china basin. All units are provided with quality satin nickel handles.